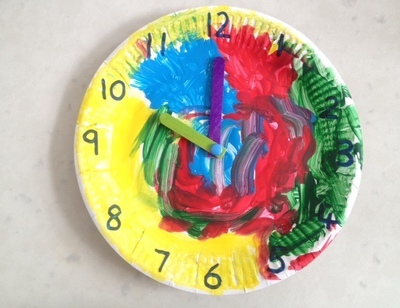 Time: 10 minutes plus drying time to make the clock. When dry, carefully poke a hole through the middle of the plate with a skewer. 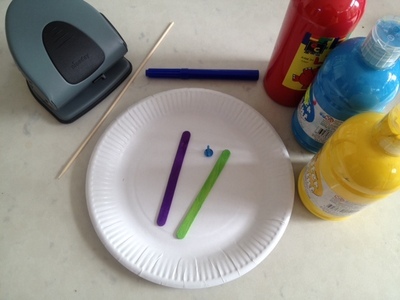 Write numbers around the edges with a marker pen. 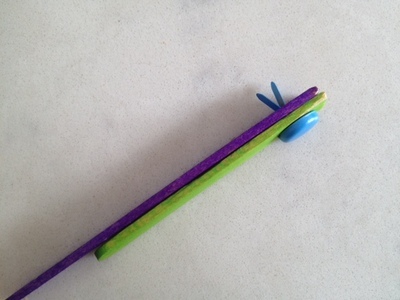 Cut popsicle sticks to the right length to make a big hand and a little hand. 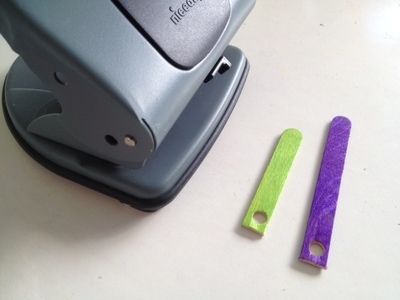 Using a hole punch, make a hole at one end of both popsicle sticks. 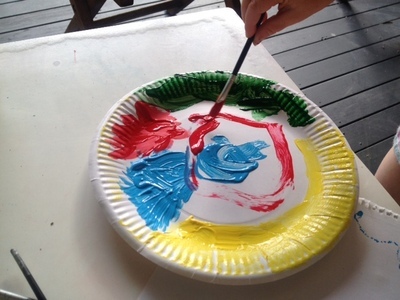 Feed the butterfly clip (paper fastener) through the holes in both popsicle sticks then feed through the hole in the middle of the paper plate and secure at the back. 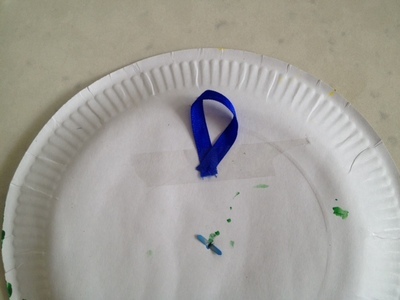 If you want to hand the clock up, attach a loop of ribbon or string to the back with tape. Your clock is now ready to play with! 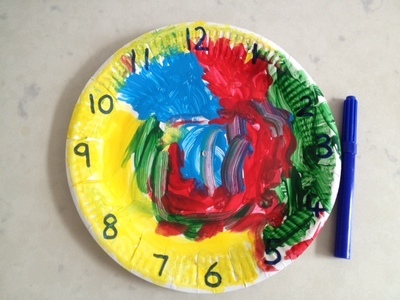 The hands can move round to make different times. 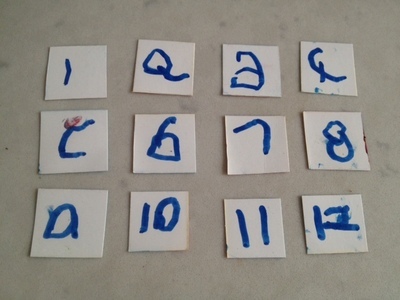 After my preschooler watched me write the numbers on the clock, she wanted to have a go too. We cut small squares of paper to stick onto the clock. 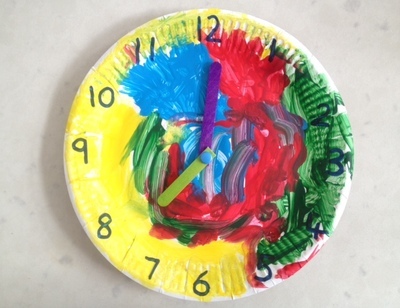 Make a mouse to go with your clock and sing Hickory Dickory Dock nursery rhyme. Play What's The Time Mr. Wolf?